Kagiso residents have called off their protest. This after community leader received feedback from Eskom. The power utility has told residents they will send out their technicians to assess the situation in the area. More that 150 residents in Mogale City , West Rand township went on the rampage early on Friday morning, protesting over electricity cuts. They blocked roads with rocks and boulders and burning tyres. Residents claim they’ve not had electricity in 3 weeks. However, Eskom says they need to first conduct an audit of paying and non-paying residents before they can reconnect. And say their technicians will come make an assessment latest Monday. Residents accuse Eskom of cutting them off without a valid reason and the power utility is refusing to engage with them. Police are on high alert. The main road into Kagiso has been reopened. The community say they will take their fight to the street again should Eskom fail on their promise. 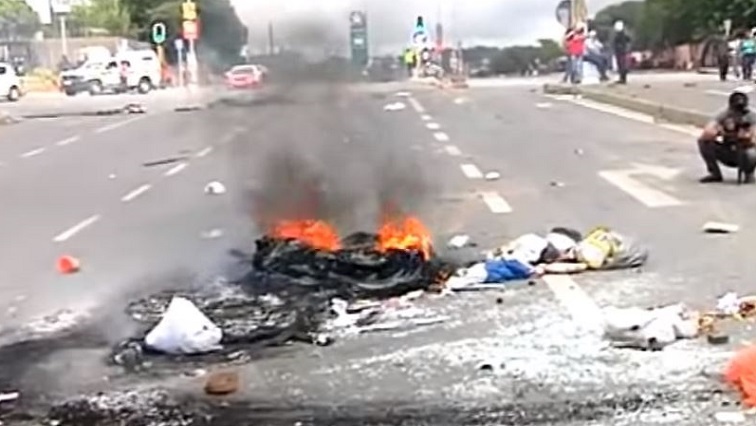 The post Kagiso protest called off appeared first on SABC News – Breaking news, special reports, world, business, sport coverage of all South African current events. Africa's news leader..